This project is just one of five fireplaces The Billington Partnership fitted in Little Venice. This Maida Vale Fireplace Installation was one of a pair of fireplaces for this property. The Library and Drawing Room were adjoining rooms in the property. 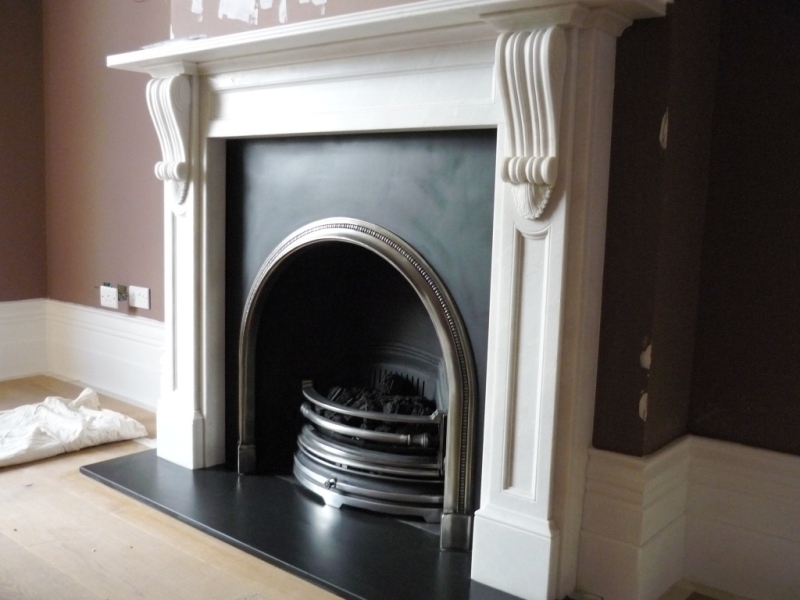 Therefore the client required a beautiful matching pair of fireplaces to complement the stunning interior planned for both rooms. The client lived in a listed property. So first of all it was necessary to gain permission to remove the existing and unusable fireplace. 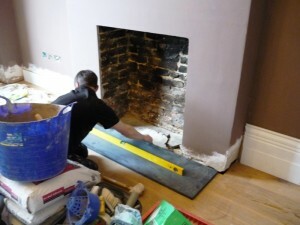 As soon as we received the permission, The Billington Partnership installed both the fireplaces. The fireplace chosen here for the Library is the Buckingham fireplace by Chesney’s with the Ornate arch. Both fitted with remote controlled gas fires. 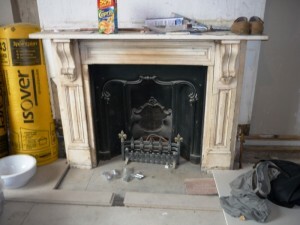 Finally, view the matching fireplace we installed in the Drawing Room.